Title: I Am Invited to a Party! 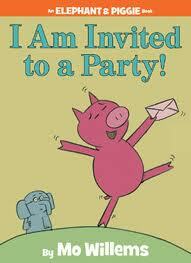 Description: Piggie is invited to a party! He asks Elephant for some help because Elephant…he knows parties. Why I Like This Book: There isn’t an Elephant and Piggie book that kids don’t love, and they all help me to address a number of goals. Have students act out the story. Can they replicate the emotions with their face and body? Video record and have kids self-reflect. Did their bodies and voices match? This is great for a collaborative activity too. Can they work together to act out the story? Negotiate? Plan? There are lots of opportunities for predicting what might happen next as Piggie and Elephant get ready for various types of parties. What will they need and wear for a pool party? For a fancy party? etc. Good context to discuss party “etiquette.” Pair with Social Behavior Mapping from Social Thinking© What is expected at a party? What is unexpected? Role play situations in individual or group sessions if necessary (i.e. greetings at a party, giving and receiving gifts, playing winning/losing games, etc.). 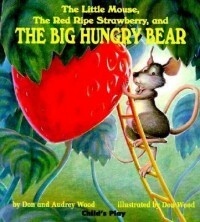 A great story for character descriptions to develop narrative and social skills. Pair with Mindwing Concepts products. Here’s a great post by Sean Sweeney discussing these character descriptions. Working on written language or hand writing? Use this opportunity to have student write invitations to others for a party. There are lots of apps that would provide a context for generating an invitation as well. There is an example of some figurative language as well….a “pun” “We will make a splash” (with attire for the pool party). Good for discussion of this humor as well. the body and facial expression while also executing a simple action. have used this particular Kimochi with a little girl who has constitutional shyness. 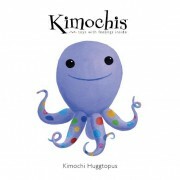 to check out the web site, educator’s tools and products at www.kimochis.com. it’s great to have tools such as these to use and enjoy! For more therapist-curated toys, please click over to our Amazon Store so they know who sent you. This game has always been fun, but with the addition of the Easi-Speak USB Recorder, each child’s inner drama king/queen came right out! Something about holding such a realistic-looking microphone helped the kids really get in the mood. Not only did their tone of voice more closely approximate that of the chosen emotion, but so did their body language. It was really incredible! Gotta love a great prop! But that’s not all… this microphone is also a digital recorder. It saves audio files right on the microphone, so we were able to record each of the kids as they took their turn. If the kids were having trouble determining a friend’s emotion, we were able to stop the game, playback the phrase and talk with the group about what changes in tone of voice would better convey that emotion. The kids LOVED listening to themselves on tape, so they were much more motivated to keep trying until they got it right. 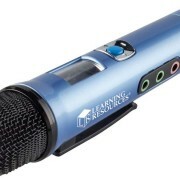 Many of us have also used this microphone in our individual sessions to motivate kids to generate narratives. Just the other day, one of my kids who doesn’t typically string more than 2 sentences together narrated an entire Berenstein’s Bear book. He held the mike and described each picture while I flipped the pages and smiled a great big smile. Then… we plugged the mike into the USB port of my laptop and sent the recording to his mom who was, needless to say, thrilled! Finally, we have used this recorder during evaluations. Again, it increases kids motivation to speak, records with excellent quality and is super user-friendly. So, we give the Easi-Speak USB Recorder a definite “thumbs way up”! If you are asking, “Is there anything that could make it even better?” then we would say that it would be really cool if the Easi-Speak offered an amplification option. And they do… it is called the Easi-Speak Sound Station. We will be using this mike and sound station a LOT in our individual and group therapies!! Disclaimer: this device was given to all4mychild free of charge with the express purpose of providing a review. 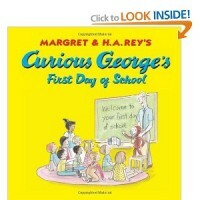 Description: Curious George gets into trouble again on his first day of school. However, his friends come to the rescue. Why I like this book: Curious George is always a hit with kids. This book can be used with a variety of ages based on your goals. A good story for the beginning of the school year. 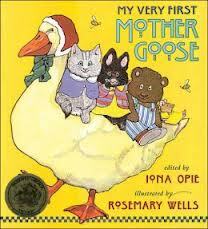 There is a range of emotions in the story (which is what our kids are likely feeling:) that is great for discussion. Excitement, nervousness, frustration, etc. The pictures provide great body language as well. Have students “act out” different emotions, and discuss why they may feel that way. Discuss strategies for how to cope with the negative ones. For younger students, a great story to “act out” with small objects. Have them act out a child (or a monkey) going to school. Incorporate a teacher and other friends. Help them sequence events, add dialogue, etc. There are a couple examples of figurative language: “having a ball” and “well-balanced snack”- both for which George interprets literally. For older students could tie to other idioms and figurative language. For younger students great to point out and discuss. Tie to curriculum around “well-balanced” snacks. Brainstorm other healthy snacks and have after reading the story. During and after reading, incorporate “wh” questions throughout. Why is George in trouble? How can you tell? What will happen next? Why? J is wild! He flips his body around the gym with abandon. He understands the rules of safety, but upon entering the gym, he’s like a bull in a pen seeing red! We review the rules of the gym regularly. We play impulse games in the gym so J can experience stopping his body and then going again. We work on visually scanning the environment at all times to register any possibility of danger toward himself or others. And we see improvement. J is beginning to be able to modulate his movement better on his own, without an adult reminder… but sometimes he doesn’t. 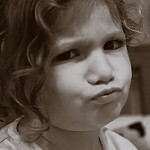 As Karen and I processed what happened, it turned out that J didn’t hurt the child. The friend was crying because he wasn’t able to do what he wanted in the gym. This had nothing at all to do with J! So, we talked about how J got to the place of feeling guilty. Did this happen often? Did he go around thinking it was always his fault when he heard kids cry on the playground? Does he not comfort friends because he feels responsible and can’t face them? Now we know what to work on with J in the empathy department. We will tell him, kids cry sometimes and it is not his fault. It is always a good idea to go to a friend who is crying. Even if it is his fault, asking if a friend is OK is the kind thing to do. If he does hurt someone, saying “sorry, I didn’t mean it” are fine words to use. Then, it is time to learn and let it go. Don’t carry around the guilt and perception of yourself as one who hurts. We all make mistakes; you are forgiven, J. Now go play! 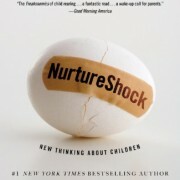 I am always trying to find new and innovative ways to help my students navigate the complex world of childhood. I am constantly manipulating strategies I find on social media outlets such as Pinterest and educational blogs. I love to see what other educators are doing and I enjoy trying to adapt these ideas to fit our diverse classroom. 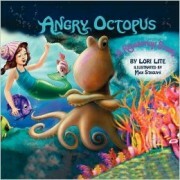 After reading the all4mychild blog post about the interactive book The Angry Octopus by Lori Lite, I was compelled to check it out. After not just reading but experiencing the story with my students, I was inspired to bring that Octopus into our classroom permanently. In the story, the Octopus becomes angry when his rock garden is ruined over night by some lobsters. We physically see his anger grow in the black cloud of ink that spreads further and further into the surrounding sea. That ink gives us a visual of what anger would look like if we could physically watch it grow. We can feel that growing anger as we watch the waves moving slowly and the screen getting more and more black. We feel mad and confused and we don’t understand why those lobsters messed up that rock garden! Luckily, we are saved as the Mermaid rescues us with her soothing voice calmly giving the octopus, and his sympathizers, some strategies to manage anger. She suggests more than one strategy ranging from stretches to breathing realizing he may need more than one. She repeats this ritual until the ink has dissipated and the problem is small enough to discuss and solve. After our meaningful discussion we decided to make our own Octopus to remind us how to manage our own anger. We talked as a class and narrowed down 8 strategies to manage anger. (8 for 8 arms of course) We have everything from taking a break to dancing off our anger. The students were able to give their input and as such they took ownership of the activity and the strategies. We hung the Octopus on our door and refer to it often. I love the non-verbal cue I can give the students and I love watching them use it on their own to self regulate their emotions and the behaviors associated with them. Educational blogs like all4mychild have really transformed my classroom and my teaching alike. Our next lesson is only a click away! Meghan O’Hara is Head Teacher of 1st and 2cd grade at the The Tobin School in Natick, MA. We have had the pleasure of working closely with Meghan over the years and have loved watching the creative ways she integrates social cognition concepts into her classroom curriculum. We are delighted to introduce her as a guest blogger today and look forward to more contributions from her in our future Teacher Features.